Fire extinguishers must be certified annually in accordance with local, state, and national codes and regulations. This is a thorough examination by a licensed Fire Extinguisher Inspector. 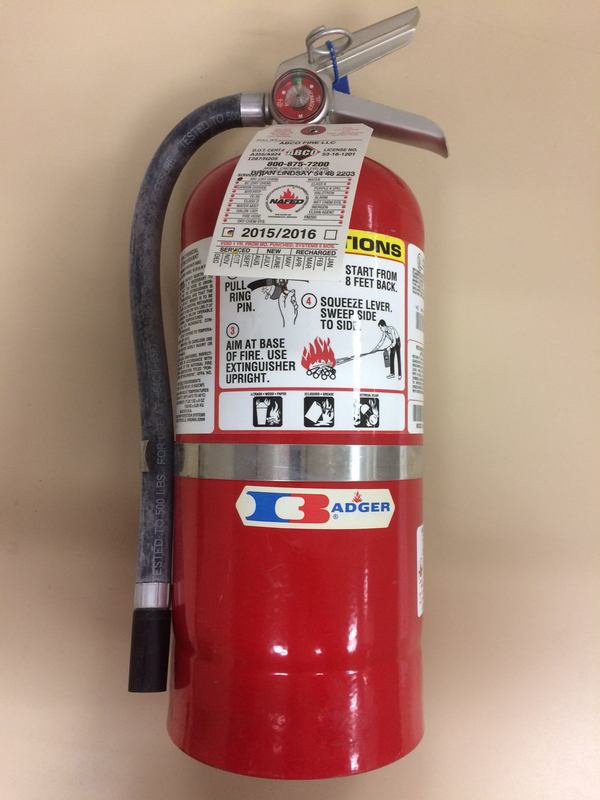 The certification process requires inspectors to verify the extinguisher is fully pressurized, free from damage, and weighed appropriately. Annual inspections also require a pull test on the pin and seal replacement—this must be verified with a dated inspection tag. If the extinguisher fails to meet these requirements, it must be replaced. 12 Year Maintenance: Extinguishers which store specialized chemicals such as Halon or dry chemicals must undergo “hydrostatic” tests every 12 years. This standard method of testing is conducted underwater where the cylinders are subjected to pressures that exceed their ratings. Extinguishers that fail the test are destroyed, while the rest are reassembled and put back into service.